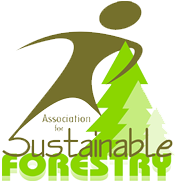 • All work will conform to the Silviculture Criteria determined by the Association for Sustainable Forestry (ASF). • A Forest Technician or Forester will inspect the site prior to application for funding to determine if the pre-treatment Silviculture Criteria has been met. • The Landowner holds less than 2000 hectares of woodland in NS. • No treatment area proposed for funding by ASF will have been previously claimed by the Landowner, Contractor or other Agent under any other program operated by a Registered Buyer. • The financial obligation of the ASF will not exceed the approved amount on the application. • If a Contractor or other Agent has been retained to do the work, the application form will be signed by the Landowner and Contractor or other Agent unless a signing authority is currently in place between the parties (a copy of the signing authority must be provided). • If within ten (10) years following the silviculture treatment, the land on which the treatment has been completed is taken out of forest production, the Landowner, Contractor or other Agent, their heirs or their assignee(s)may be required to repay to the ASF any contribution or contributions originally paid. • The ASF is a funding agency only; the Landowner, Contractor or other Agent is responsible for all aspects of work done on the property under this program. • The Contractor or other Agent must have current NS Workers Compensation or show proof of adequate insurance coverage. • In the case that a site is not field checked by the ASF prior to the commencement of work, the Landowner, Contractor or other Agent will be responsible for the site meeting the pre-treatment Silviculture Criteria of the ASF. Failure to meet the pre-treatment Silviculture Criteria upon further inspection of the site by the ASF will result in the cancellation of payment or the re-payment of funds to the Association. • The completed silviculture treatment must conform to the specified criteria for at least 18 months after treatment. The Landowner and the Contractor or other Agent are responsible for any failed sites. • All correspondence, maps, plans, drawings, diagrams, photographs, and any other physical or electronic records which are created as a result of this application under the Association for Sustainable Forestry’s Silviculture Program are the property of the ASF and will be stored and handled according to all applicable Privacy Legislation. • The information will be used solely for the purposes outlined in the Forest Sustainability Agreement between the ASF and the NSDNR. Any personal information gathered as a result of the agreement programs will be made available only to employees of the ASF and NSDNR, (including any contractors), ASF Directors or Officers and persons officially cooperating in the delivery of the agreement programs. By signing form the Landowner, Contractor or other Agent consents to the sharing of this personal information with the above noted parties. • Pre-commercial thinning in natural stands must be minimum of 25,000 stems/ha and better than average productivity to be eligible for payment. Are you interested in a woodlot management plan?